Shea Serrano is an award-winning writer, author, and illustrator. His most recent book, The Rap Year Book, reached the bestseller lists of the New York Times and Washington Post, topped the Arts and Entertainment iBooks bestseller list, and was named one of Billboard’s Best 100 Music Books of All Time. Currently, Serrano is a staff writer for The Ringer. He lives in Houston, Texas. 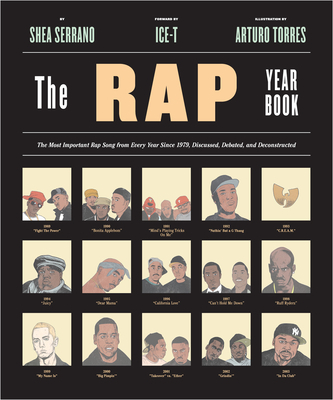 "Required reading for hip-hop fans and hip-hop newbies alike. It’s also the funniest thing I’ve read in years."